Tons more on his site. Bonus points for you if you read/speak spanish. Honored to be included in the New York Times LENS blog cellphone photo gallery today! What’s on your “to submit” list? A veritable treasure trove of lesser-known, yet awesome, art. I don’t know where this woman finds so much energy, but I admire it. Check out her shadow project. Bonus points for intermingled photos of her cute cat. I know things have pretty quiet around here… I’ve been busy working as of late. 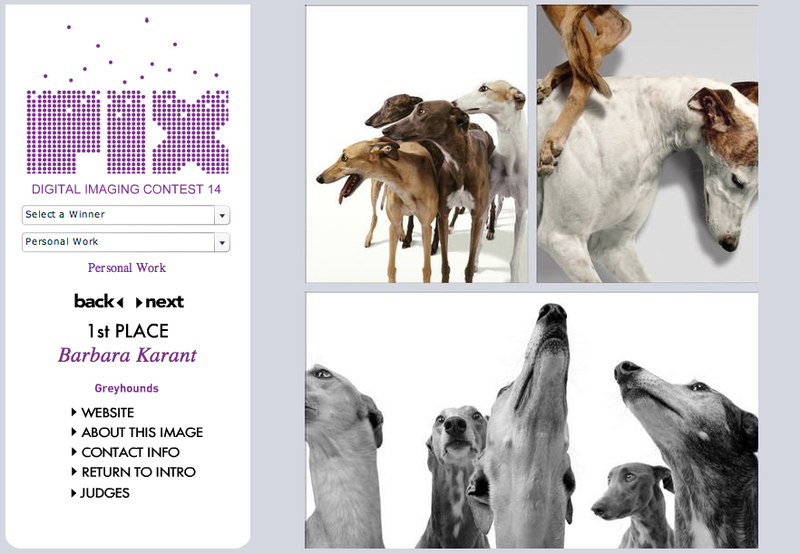 My blogging energies have mostly been directed at bloggin’ about greyhounds for the photographer I work for. Needless to say, I can’t wait to check out the Michael Wolf show that just went up @ the MoCP yesterday and, of course, his lecture next Thursday.